We are looking at open-back headphones, to consider when and why they are the right headphones for different audio listening environments, and then looking at the best open-back headphones on the market today. We will evaluate sound, design, and even cost, so that you can choose the best open back headphones for your needs, and in your price range. Sennheiser makes exceptional headphones across the board, and makes several appearances in our ranking of the best open-back headphones. 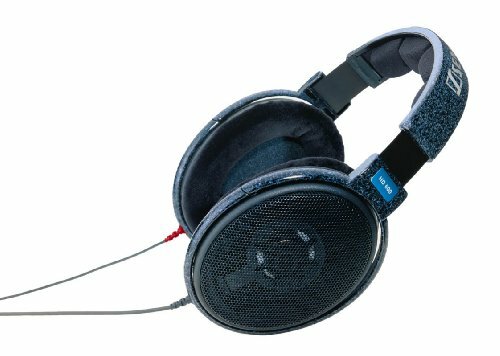 But our overall favorite are the Sennheiser HD 598 SRs, because they have fantastic features and incredible sound without breaking the bank. 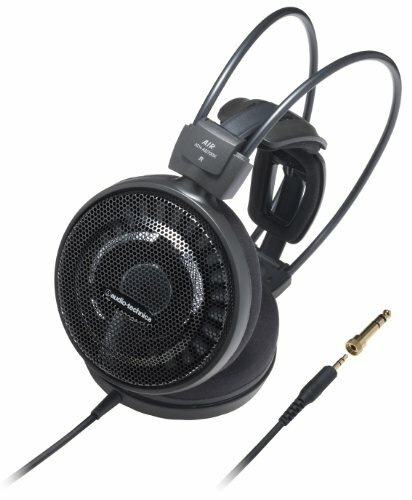 The HD 598 SRs have Sennheiser's E.A.R. technology, that precisely positions the earcup to channel audio into your ear, taking advantage of your natural acoustics. This creates crisp, clean, detailed sound with excellent dynamics. Open architecture also reduces pressure inside the ears, which reduces sound distortion as well as discomfort. They come with cables and adapters for a wide range of devices, and they have in-cable microphone for taking phone calls while using these headphones with a phone. Sennheiser always pays attention to details and craftsmanship, and the Sennheiser HD 598 SR headphones are a great way to get exceptional audio quality in an open design, with thoughtful features, at a reasonable price. The open design of the Sennheiser PC 360 creates spacious sound with accurate sound stage and audio positioning cues that improve game play, with fantastic clarity. The open architecture also reduces pressure on the ears, which improves audio quality and reduces fatigue over long gaming sessions. The microphone automatically mutes when the boom arm is lifted, and has noise-cancelling features for exceptional voice clarity when speaking. It has volume control on the ear cup, for fast adjustments without accessing external controls. It has big velvet ear pads for comfort, and comes with adapters for a wide array of computer and console audio inputs. This high-quality audio, comfortable breathable design, and excellent call features make this headset a fantastic choice for gamers who want a more natural, open game experience with less discomfort and fatigue. 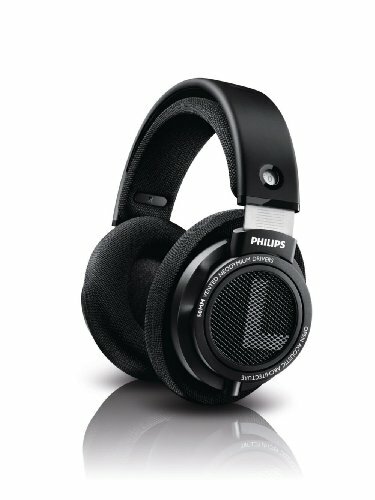 The Philips SHP9500S are getting hard to find, which is too bad. These headphones have big 50mm neodymium drivers for full, rich sound across the whole audio spectrum. The ear cups are angled precisely to create accurate, dynamic sound. The open architecture not only reduces pressure and creates more spacious sound, but it gives the diaphragm more freedom of movement. This movement enhances and smooths sound, particularly in the high frequencies, where many headphones allow trebles to get bright, harsh, and fatiguing. The dual-layered cushioned headband is comfortable and dissipates heat for prolonged comfort. They have a long, 1.5 meter cable that is perfect for a home theater or studio. This open, spacious, accurate sound is perfect for enjoying movies, where you can enjoy a big sound stage with immersive, dimensional sound. Their accuracy across the whole audio spectrum means that film music, vocals, and sound effects are all clear, engaging, and enjoyable, and the long cable lets you sit in your favorite chair. No other headphones in the current Philips product line have this unique combination of features designed for optimal enjoyment of movies. Let's hope they are working on an updated mode. 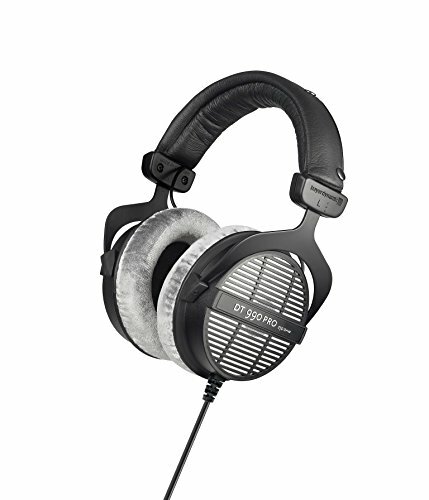 The beyerdynamic DT 990 PRO are precision engineered in Germany, designed inside and out for audio professionals. They have a spacious, accurate sound with excellent depth and ambience, designed to complement the acoustic environment of the wearer. The controlled bass is solid, and trebles are clean, and the sensitive transducers are highly responsive to changes in EQ. This open architecture reduces listening fatigue and improves comfort over long sessions. They also have a lot of nice design features for ease of use and longevity. The steel headband provides extra durability, and the one-sided cable attachment is useful for professionals who frequently take off headphones or monitor with one ear. Finally, the fit is comfortable, lightweight, and secure, making these a great all-around choice for mixing. Why Do Audio Professionals Prefer Open-back Headphones? Do Headphones Need to be Broken In? When looking at headphones externally, the most distinctive visual design differences are often between over-ear and on-ear designs. It can be difficult to tell just by looking whether headphones are open or closed back. Closed-back headphones have outer materials on the earcup that are rigid and form a barrier for sound waves. Open-back headphones are, well, open, and allow sound waves to pass through the ear cups and escape the headphones. This means that the sound inside the headphones mingles with the sound of the environment, so you can hear what's happening around you, and those around you can hear the sound of the audio in your headphones. The architecture of open-back headphones has distinct advantages for the quality of your sound. The open-ness allows sound waves to move naturally from the speakers out into the environment. Open-back headphones create sound that is, therefore, more spacious, with a richer presence, realism, and dimensionality, because it can expand and surround you. Closed-back headphones, by blocking the sound waves, create reverberation and tiny echoes within the earcups, which can minutely distort the sound. 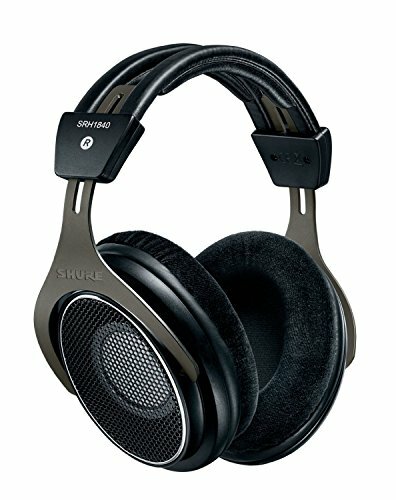 Semi-open headphones don't offer the “best of both worlds” between closed- and open-back headphones, but do create an excellent compromise when either extreme is too much. The open architecture also allows the headphones' diaphragm to move more naturally, with less internal pressure, improving the accuracy of the sound. Finally, open-back headphones can take better advantage of the natural cup shape of your own ears, using the extra space to position and direct the sound waves so that they sound better with your body's own anatomy. In short, for most audio applications, open-back headphones simply sound better than closed-back headphones. However, closed-back headphones are much more desirable when you need a sound barrier that will exclude background and environment noise, or keep people around you from hearing the sound of your headphones. If you need to concentrate on your audio, reduce distractions, or create privacy, closed-back headphones are often the best choice. A newer option are so-called “semi-open” headphones, which seek to blend the characteristics of open- and closed-back headphones to give you the best of both worlds. As the name implies, semi-open are a half-measure between open and closed headphones and reduce environmental noise and audio “bleed” without completely blocking it. Semi-open headphones give you the more natural sound of open headphones, with some of the privacy of closed headphones, but, as you can imagine, by splitting the difference, they don't do either job as well. Semi-open headphones are an excellent option in certain scenarios, though. They are perfect for people who want to enjoy music or movies or games with open, spacious sound, and some privacy and isolation, but still be alert to important background noise like a child, doorbell, or other interruption. They are great for musicians who want to focus primarily on the sound of their own instrument, but still hear other tracks and instrumentation for reference and harmony. And they are ideal for people who want closed-back headphones for the privacy and reduction of background noise, but who have ears that are sensitive to pressure and easily fatigued. When you are listening to audio in the real world, or even in a concert hall or movie theater, the sound is big and immersive, but also includes all the small colorations of the space itself. Professionals know that the way something sounds is inseparable from the space it is in, and want to hear the sound they are designing in more of a natural, real-world context. Not only does pressure between headphones and your ears color the sound waves, but it also causes your ears to get tired over time. For long listening sessions, and for more accurate sound, an open design is preferable. 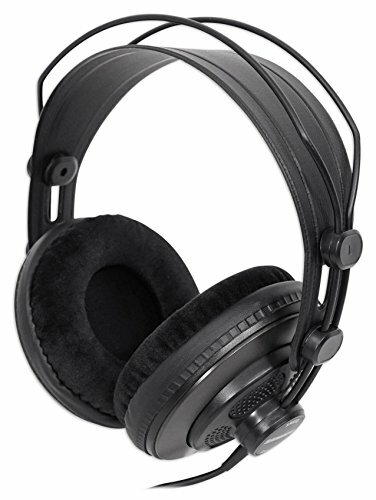 Open-back headphones designed for professional, in-studio use usually have very long cables, because professionals need to listen attentively while potentially using large audio boards or moving around a studio. These long cables are also great for home theater and music listening, so you can plug into your home entertainment system and still move around or sit at an optimal distance. Professionals also need exceptionally high-quality materials in their cables and in connectors and jacks, because low quality materials will degrade audio signal, particularly when the cable is long. Audio signals are heavily affected by the number of jacks, connectors, and adapters, and by cable length, so minimizing connectors and adapters, and using the highest quality materials in audio cables, creates the best possible signal and sound. Open-back headphones designed for professionals almost always have very long cables that are made of very high-quality materials; they cost more because they are worth more. However, very long cables are usually not preferred for mobile devices, because people don't want to manage very long cables while they are out and about. While open-back headphones are typically preferred for audio editing, mixing, and mastering, you will, of course, want to use closed-back headphones whenever there is a microphone present and recording, to prevent bleed or feedback. For audio professionals who are making the music, movies, games, and TV shows we enjoy, they know that every individual hears slightly differently, and every pair of speakers and headphones reproduces sound slightly differently. Most speakers and headphones have physical and digital features that color the sound. Many headphones boast this coloring as a feature, with boosted bass, smoothed trebles, etc. For those who are designing, mixing, and mastering audio, they want to hear the sound as accurately as possible. This means choosing headphones that are “flat,” with no augmentation of the sound, so that their choices are as accurate as possible. Reference headphones are designed to do just that: produce clear, detailed, accurate sound with as little coloring as possible. For consumers who are accustomed to headphones that do augment their sound, reference headphones can sound dull and boring, without the dynamic, full sound they are used to. However, reference headphones are also the best way to hear the sound as it was designed and intended to sound, as it sounded in the studio where it was made. Believe it or not, headphones do mature over time, and good headphones sound different and better after long use than they did fresh out of the box. Audiophiles and experts can't agree on exactly why or how this happens, but it's true. The mechanical components in headphones move and reverberate against each other, and it makes sense that these points of motion would relax and gain smoothness over time, and this maturing would affect the quality of the sound, if not the measurements of it. While some audiophiles recommend plugging in new headphones and letting them play for 100 hours before listening to them, experts and manufacturers generally agree that this process isn't necessary. Listening to your headphones as you normally would, with your customary habits, will break them in sufficiently. After about 50 hours of use, high-quality headphones will sound better than they did before, and will have matured and sound as good as they ever will. The most important consideration in open-back headphones is determining whether open-back headphones are right for your audio needs and your most common listening environment. Open-back headphones are ideal for home theaters, game rooms, music rooms, or studios where there are a minimum of background noises and distractions, and where you want the best possible audio quality from your headphones. As mentioned above, cables can often make or break a pair of headphones. And, quite literally, they can break headphones, as they are often the first point of failure. Choose detachable cables so that they can be replaced when they wear out, and improve the longevity of your headphones. Choose the highest quality cables you can, with oxygen-free wiring and gold-plated plugs. Choose cables that directly connect to your sound source, without using and adapter, if possible. Avoiding adapters is another advantage of detachable cables; you can simply connect the right cable from your audio source to your headphones without introducing a connection that can be another source of distortion or signal loss. While many headphones feel comfortable when worn for short periods of time, issues of weight and fit become more important over long listening or gaming sessions. Headphones that fit too tightly, creating pressure on the head or ears, can be extremely uncomfortable, particularly for people with large heads or people who wear glasses. Heavy headphones can put pressure on the head and neck, and cause muscle tension and strain over time. Many headphones have steel headbands for extra durability and ruggedness, but steel is also a heavy material that adds weight. Light weight headphones are ideal for almost everyone, but fit can be very subjective and just depend on your own personal preferences and anatomy. While most open-back headphones have an adjustable band, if your head is difficult to fit, you may look for a headband that is flexible instead, without steel banding. Or choose a “suspension style” headband, where the weight of the headphones is supported by suspension arches that don't rest directly on the head. The material that covers the ear pads and head band will be in contact with your hair and skin for long periods of time, and are a key aspect of the overall comfort and wear-ability of your headphones. Ear pad coverings, in particular, are prone to wear, and the material will begin to flake and break down. Ear pads and head band covers break down more quickly when exposed to sweat, weather, and some hair and skin products. While most people don't like the look and annoyance of ear pad flakes getting everywhere, it's important to remember that not only is this aesthetically unpleasing, but can also wear on your skin and hair, causing irritation and damage. Ideally, your headphones will have removable ear pads, so you can replace them when they wear out, and extend the life of your headphones. If your ear pad and head band covers aren't replaceable, remember to clean and condition them regularly to extend the life of your headphones. The Audio-Technica ATH-AD700X headphones are designed for surpassing comfort over long listening sessions. They have a honeycomb aluminum construction for light weight, and the open back design doesn't put any pressure on the ears, creating an open, natural sound. The 53mm drivers create clear treble and midrange notes, and the bobbin-wound CCAW voice coils have a spacious sound with excellent acoustics. The wide frequency response range make them fantastic for any kind of audio. The self-adjusting 3D wing support enhances comfort, and they have a total ear fit design with flexible ear pads for comfort and durability. The highly conductive cord has a TPE sheath to prevent tangles, and it comes with a gold-plated stereo connector and a ¼ inch adapter. The Audio-Technica ATH-AD700X headphones have exceptionally clear, natural sound, with a lightweight and no-pressure design that makes them comfortable to wear for hours. These headphones are fantastic for music and for monitoring, when lasting comfort, great frequency response, and clear acoustics are the highest priority. 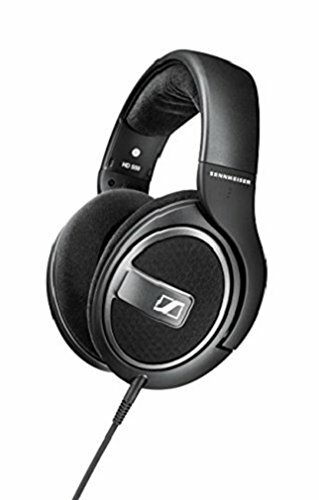 The Sennheiser HD 598 SR Open-Back Headphones are an over-ear, open-back headphone with natural, well-balanced sound. The padded headband and velour covered ear pads provide lasting comfort. Sennheiser's innovative E.A.R technology reproduces exceptionally detailed sound by channeling audio directly into your ears, for incredible sound without closing or sealing the ears. They have aluminum voice coils for great dynamics and low distortion. They come with cables and adapters that are compatible with almost all audio inputs, including phones, tablets, computers, and stereos. They also come with a cable that has an inline remote and microphone for taking calls. They have a 2-year warranty. The Sennheiser HD 598 SR Open-Back headphones have clear, detailed, natural sound in a design for versatility and comfort. The detachable cables can easily be swapped between devices, and the padded headband and velour earcups stay comfortable for hours of listening. The Shure SRH1440 Professional Open-back headphones have a circumaural design that delivers natural, open sound for spacious audio. The 40mm neodymium drivers give a full range of audio, with rich, controlled bass tones. They have a fully adjustable padded headband and an ergonomic design for hours of comfort, but a steel frame for durability. The oxygen-free copper cable has a Kevlar-reinforced jacket for great clarity and durability. They are optimized for a wide range of audio devices. They come with a carrying case, an extra set of velour headbands, and an extra detachable cable. 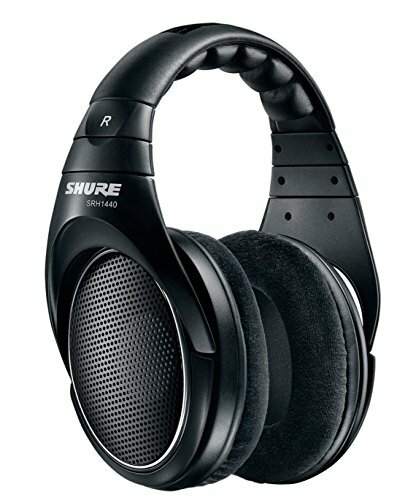 The Shure SRH1440 Professional Open-back headphones have clear, open, detailed sound with rich bass tones. The steel frame, Kevlar-reinforced cable jacket, detachable and replaceable cables, and replacement ear pads make these headphones an investment that will last for a long time. The comfortable design, balanced sound, and open acoustics make these great open-back headphones. The Sennheiser HD 700 Headphones have a highly optimized ventilated magnet system to minimize air pressure, turbulence, and distortion. The specially tuned, highly efficient drivers deliver great sound and flat frequency response. The sound is open and transparent, with warmth and balance. They have a great, high-tech style, along with ultra-comfortable luxurious earpads, and a durable, silicone-treated headband. It comes with a silver-plated, oxygen-free 3 meter long cable for exceptionally clear signal and freedom of movement. They have a 2-year warranty. 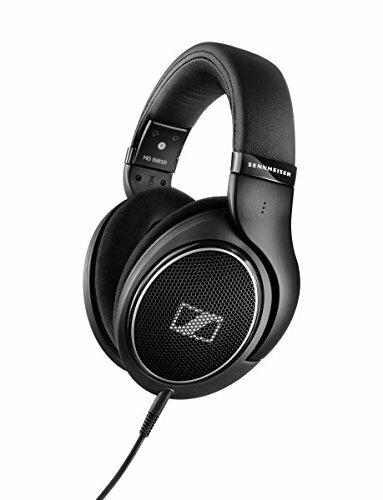 The Sennheiser HD 700 headphones have an incredible clear, open, warm sound with detail and richness. They are lightweight and incredibly comfortable, with a long cable for freedom of movement while enjoying your audio. These open-back headphones are fantastic for nearly any audio need and environment, and the high-quality materials are built to last. The LyxPro OEH-10 Open-back Headphones have crisp, clear, open sound with natural dynamics and a big soundstage. These lightweight headphones have a padded, adjustable headband and cushioned ear pads. The ear cuffs rotate for portability, and they come with a carrying pouch, replacement foam or fabric ear pads, a gold-plated 3.5mm plug, a gold-plated ¼ inch adapter, and a 8-foot cable with steel spring strain relief. 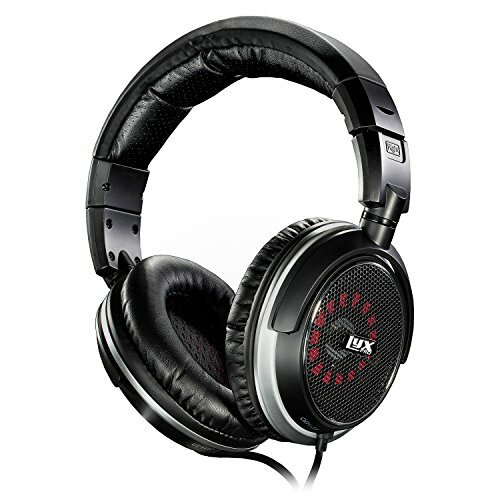 The LyxPro OEH-10 Open-back Headphones are extremely comfortable, and have good quality audio for the price. The replaceable ear pads provide greater durability, and included adapters allow it to connect to a wide range of devices. The long cable gives great freedom of movement, and the rotating cups and included case make them easy to take with you anywhere. The Superlux HD668B Dynamic Semi-Open Headphones have a natural, spacious sound, with great clarity and balanced sound. They have authentic voice reproduction and pleasant trebles. They have a light weight and optimized pressure for lasting comfort. They come with two detachable cables: a 1-meter cable for mobile use, and a 3-meter cable for home or studio monitoring, and these cables can be attached together for even more range of movement. They also come with a carrying pouch for easy portability. The Superlux HD668B Dynamic Semi-Open Headphones have a big, natural, open sound with nice clarity and sound separation. They are lightweight and designed for long-term comfort. The included cables are detachable, interchangeable, and even connect-able for a wide range of devices and environments. The included travel pouch makes them easy to take anywhere. 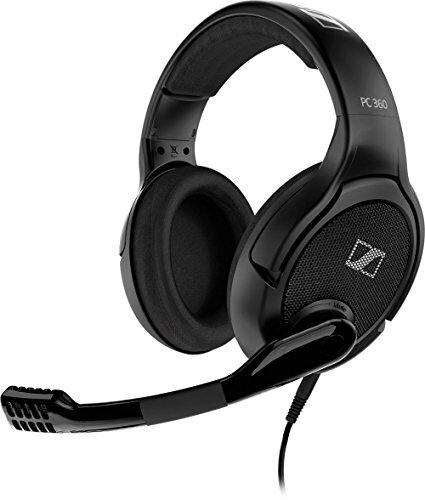 The Sennheiser PC 360 Special Edition Gaming Headset is designed for gaming professionals. The open-back design creates a more natural listening environment, reduces long-term pressure on the ear, and dissipates heat for comfort over long sessions. The Sennheiser transducers deliver exceptional sound clarity for any kind of audio needs. The microphone has noise-cancelling functionality to reduce ambient noise for ultra-clear communication. Raising the boom arm automatically mutes the microphone, and there is a convenient volume control on the ear cup. The large velvet ear pads and cushioned headband are designed for comfort. They come with an adaptor, so they can be used with PCs, Mac, PS4, and game consoles with 3.5mm audio jacks. The Sennheiser PC 360 Special Edition Gaming Headset is designed to give exceptional audio both in-game and when talking with teammates, have convenient controls like on-ear volume control and automatic microphone muting, and be cool and comfortable for long periods of time. They are a great way to enjoy games with big space and accurate detail. The Shure SRH1840 professional open-back headphones have a 40mm neodymium driver that delivers smooth high-end notes and accurate bass. The open-back design and circumaural earcups create natural, expansive sound with a wide stereo image and big depth of field. Premium aircraft-grade aluminum yoke and stainless steel grilles ensure durability while minimizing weight. The steel driver frame and vented center pole reduce internal resonance for accurate, consistent sound at all volume levels. Oxygen-free copper cables with Kevlar-reinforced jackets are built for endurance and performance. The dual frame headband is padded, light weight, and fully adjustable for hours of comfort. The Philips SHP9500S HiFi Precision Stereo Over-ear Headphones have 50mm neodymium drivers for full sound across the whole spectrum. The open-back architecture eliminates air pressure build-up within the headphones, allowing greater freedom of movement in the diaphragm, which enhances and smooths sound, particularly in the high frequencies. The ear-shells are angled to align perfectly with the ear's natural geometry, delivering precise, accurate, dynamic sound. They have a comfortable dual-layered cushioned headband, and breathable cushion covers that dissipate heat and stay comfortable for longer. The 1.5-meter cable gives you excellent range of movement in a home theater or studio, and gold-plated connectors protect your signal and reduce interference. The steel-reinforced headband gives greater durability, to make these headphones a lasting value. These headphones have an MSRP of nearly $100.00 but are an older model that are frequently out of stock, so prices may be inflated. The Philips SHP9500S HiFi Precision Stereo Over-ear Headphones have a natural, dynamic, detailed sound that brings life to music and games. Breathable covers and reduced air pressure help to dissipate heat and reduce fatigue, making these comfortable to wear for long sessions. And the long cable won't inhibit your freedom of movement as you enjoy your audio experience. The Samson SR850 Semi-Open-Back Studio Reference headphones have big 50mm drivers for a wide dynamic range and excellent sound reproduction. They have a wide frequency response for improved accuracy, with solid bass and clear highs. 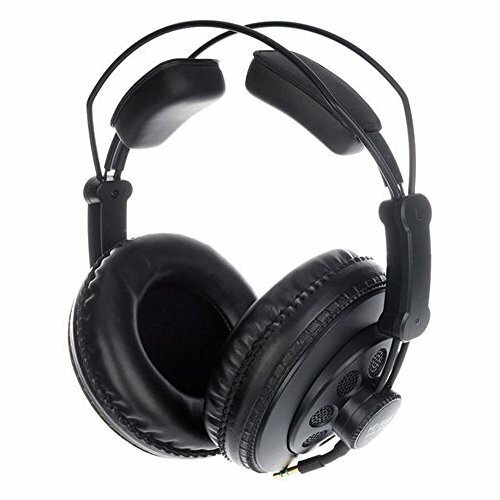 The over-ear design improves isolation and sound monitoring, while still allowing accurate bleed and a broad sound stage. The self-adjusting headband has a secure, natural fit. These headphones provide great comfort over long listening sessions, and includes a gold-plated 1/8 inch to ¼ inch adapter for different audio inputs. The Samson SR850 Semi-Open-Back Studio Reference headphones have the open, natural sound with appropriate bleed of an open-back headphone, with greater isolation and improved accuracy for detailed monitoring. They have a good frequency response and are designed to be comfortable for long wear, with a self-adjusting headband to reduce pressure. The Koss UR40 Collapsible Over-Ear Headphones are a semi-open design that combines the best of open- and closed-back headphones. They have neodymium iron boron rare-earth magnets for accurate sound reproduction and a wide frequency response range, and improve sound volume even from small, portable devices. The titanium-coated, high-polymer diaphragms improve rigidity for reduced distortion and improved durability. Oxygen-free, copper voice coils improve signal and sound clarity. The closed, padded ear cushions provide sound isolation without pressure, but the screened cups allow open, spacious sound with appropriate bleed. The adjustable headband accommodates all head shapes and sizes, with a mesh material that dissipates heat while remaining comfortable. The headphones collapse to a small size for convenient portability, and they weigh just over 6 ounces. They come with a straight, 8-foot cord with a gold-flashed 3.5mm L-shaped plug. These lightweight, portable Koss UR40 Collapsible Over-Ear Headphones are easy to enjoy anywhere, with a fold-down design and a diaphragm that boosts sound volume even from portable, low-powered audio input devices. They are designed to give you rich, accurate sound that is immersive without fully isolating you from the world. The headband is not only adjustable for a wide range of head shapes, but the mesh material dissipates heat for increased comfort, and is light weight for comfort over long listening sessions. The long cable gives great freedom of movement with minimal signal loss. The Sennheiser HD 600 Open Back Professional Headphones have neodymium ferrous magnets for optimal sensitivity and excellent audio dynamics. The lightweight aluminum voice coils have strong and accurate transient response, and the advanced diaphragm design eliminates standing waves for minimal artifacts and distortion. They produce clean, natural, spacious sound optimized for high-resolution audio. The open mesh grilles create transparent, accurate sound. They have a detachable, Kevlar-reinforced, oxygen-free cable for audio signal integrity and cable durability. These headphones have a distinctive look and great style, and come with a 2-year warranty. The Sennheiser HD 600 Open Back Professional Headphones are designed for open, natural, accurate sound with incredible dynamics and high resolution. The advanced engineering minimizes pressure for high accuracy, with low artifacts and distortion. The high quality materials and Kevlar-reinforced cable are built to last, making them a great investment. And the distinctive look and style of these headphones makes them fashionable without sacrificing the comfort you need for extended wearing. The Sennheiser HD 559 Open-Back Headphones are an around-ear, open back headphone with natural tonal balance and exceptional spatial performance. Sennheiser's innovative E.A.R technology reproduces exceptionally detailed sound by channeling audio directly into your ears, for incredibly refined sound without closing or creating additional pressure. Sennheiser's transducers have aluminum voice coils for excellent dynamics and low distortion. They come with a 3-meter detachable cable for plenty of mobility. The lightweight padded headband and replaceable, velour covered ear pads provide lasting comfort. They have a 2-year warranty. Cable connects to headphones with an unusual 6.3mm jack, which means you need to purchase a cable from Sennheiser if you want a 3.5mm port, or you need to replace the cable at some point. The Sennheiser HD 559 Open-Back headphones have clear, detailed, natural sound with an ergonomic shape for versatility and comfort. The advanced transducers and E.A.R technologies deliver exceptional sound quality with open, spacious sound. The detachable cable can be swapped between devices, and the padded headband and velour earcups stay comfortable for hours of listening, and can be replaced when they wear out. 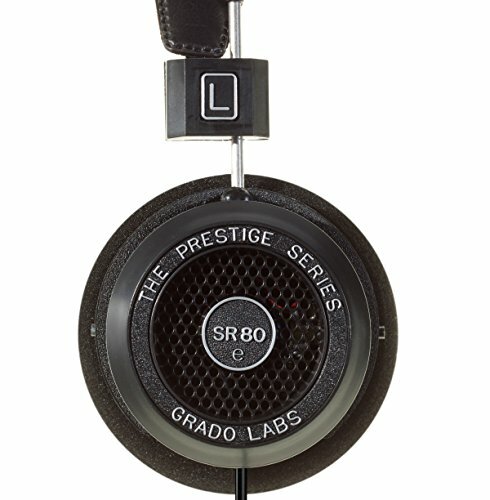 The Grado SR80e Prestige Series headphones have an unusual, eye-catching design. The upgraded drivers and 4 conductor connecting cable deliver superb sound quality. They have large ear cushions that provide long-lasting comfort as well as a more open sound stage. The vented diaphragm and no resonant air chamber reduce pressure and distortion, and the standard copper voice coil wire delivers clear vocals and mid-tones. 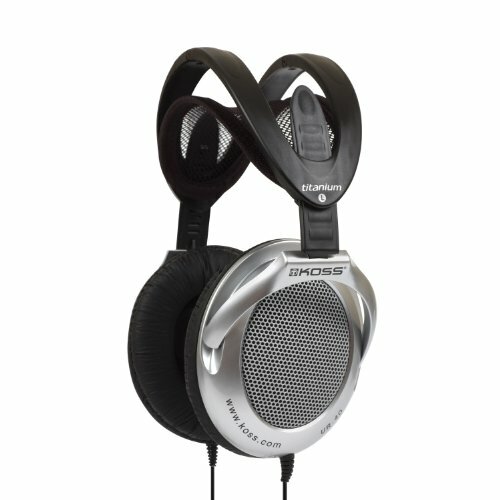 They have improved bass resonance and highly detailed sound. The vinyl headband is adjustable and soft, for additional comfort. They have a mini stereo plug with a ¼ inch adapter on a standard copper connecting cord. The Grado SR80e Prestige Series headphones create big, open, spacious sound with good bass and clarity. The oversized ear pads create spacious sound and reduce pressure, providing better sound and comfort at the same time. The headband is comfortable, and rotating ear cups adjust naturally to the contours of your head. The beyerdynamic DT 990 PRO Over-Ear Studio Headphones were made in Germany for audio professionals. The open design creates a spacious sound with depth and ambience that complements the room acoustics. They have controlled bass and enhanced treble, for clean, detailed sounds. The highly sensitive transducers help you hear the smallest adjustments in EQ. The open sound helps to reduce fatigue over long listening sessions. The headband is made of steel for durability and secure fit, but padded for comfort and the earcups are soft and adjustable. The one-sided cable attachment makes them easy to use in any setting without restricting movement or tangling cables. These headphones are extremely light weight, for lasting comfort over long listening sessions. 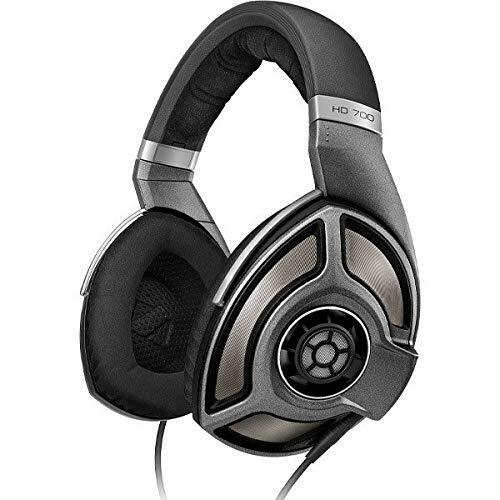 The beyerdynamic DT 990 PRO Over-Ear Studio Headphones have the features professionals are looking for. An open design for spacious sound with great accuracy and ambience. The lightweight and superior comfort for use all day in a studio. The one-sided cable attachment that allows for greater freedom of movement and reduced tangles. These headphones have an excellent sound and quality. The JVC HARX900 High-Grade Full-Size headphones have big, 50mm neodymium drivers for deep bass, and a ring port structure for dynamic, high-quality sound. The acoustic lens structure gives natural sound, and the mesh head pad disperses pressure for greater sound accuracy and improved comfort. 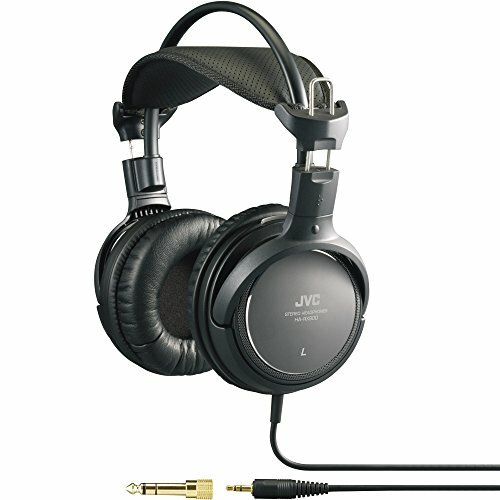 The JVC HARX900 High-Grade Full-Size headphones are big, powerful headphones with large drivers and deep bass. The mesh headband keeps them cool and comfortable, and also improves sound accuracy, while the anti-resonance structure reduces distortion and provides great presence. Open-back headphones give spacious, natural, complex, detailed sound, and allow you to hear music, movies, and games exactly as they were intended to be heard by the professionals who designed, mixed, and mastered your audio. They are simply the best way to truly hear the audio that matters to you. There are high quality open-back headphones in every style and price range, so you never need to compromise in order to have the audio experiences you are looking for. These open-back headphones are the best on the market today, so use this guide to choose your headphones and have the best sound of your life.